Calling us for garage door springs repair in Houston is the right way of having the problem fixed quickly and in a correct manner too. This duo is of the essence when it comes to springs. Pointless to stress out how tense and thus dangerous springs can be. You already know that. What you most likely don’t know is that thousands of people have been injured by trying to fix springs themselves. What you probably also don’t know is how to expertly repair springs yourself. All that brings us to one logical conclusion: call the Garage Door Repair Masters in Houston to have peace of mind that the springs are fixed to serve you without a hitch. 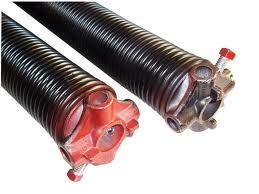 We are at your service for same day garage door spring repair in the area of Houston in Texas. 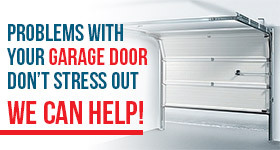 When springs become noisy or the garage door fails to close down firmly, it’s time to call in the experts. Call us. We will send you a tech with the expertise to fix springs of all types. There are several differences between torsion and extension springs as well as between products made from different brands. And rest assured that we work with techs that have experience in them all. Seeking a torsion spring repair expert? Would you like to make your extension springs safer with the installation of safety cables? No matter which service you need, call us. From fixing Clopay springs and adjusting galvanized springs to lubricating coils, we can help with any service need. Call us. Trying to find a specialist to offer same day broken garage door spring replacement? Turn to us. We won’t only help you with your repair needs but any spring service request. This includes replacing springs whether they are broken or not. If they haven’t snapped yet but are in a bad shape, call to make an appointment so that you won’t have to deal with this problem in the near future. If they have already snapped, relax knowing that as soon as you contact us a pro will come to offer broken spring repair. We are available for same day Houston garage door springs repair and thus will be a valuable asset to you should the need for service arises. Do you need to repair springs today? Call us now.